Whew, here comes 2018! Can you believe it? New year, new you? New students? New routines? For some, all of the above; for others perhaps none, or one. I teach on block schedule, so when we come back to school in January, I have all new students, a new prep, and a new schedule. I have a LOT of goals for second semester, and they’re all intertwined and interdependent. Best of all, I’m really excited about them. A lot of good things happened in the fall, but much still needs rethinking, reworking, and revamping. So, I don’t have New Year’s Resolutions; rather, I have New Year’s Revolutions. Over the holidays, I was able to get out of town to relax and recharge. Hmm, I’m sensing a pattern. REvolutions, REthinking, REworking, REvamping, RElax, REcharge – we get to REdo many things in life, and as teachers, coaches, and mentors, we know the power of REpetition. As World Language teachers who teach toward proficiency, we are confident in the influence that comes from “do it again,” performance, and performance over time (proficiency). These ring true in language acquisition, pedagogy, and life. Have you ever visualized a goal or achievement so truly and clearly that it almost felt like you really did it? Whatever it was, you could see it: a clean, orderly classroom; students working; you circulating and humming, coffee (still hot, so you know it’s a dream!) in hand; work turned in and timely feedback given – all is right in the world. But in reality, it flounders. Well, crap. In these moments, I have to stop myself and do a once-over; did I actually change anything besides my expectations? Sometimes that works, but sometimes it’s fruitless, and frustrating. We change our vision, which is the first step, but not our actual behavior, or setup, or plan, and when the results are the same, we wonder why. I think the first step is most definitely the vision, that part is huge. But next, be different. Usually, if I’m frustrated with something in my classroom, it’s because I’m in denial about my level of planning, my articulation in the execution, or my expectations (that need to be tempered, especially the first time trying something). In order to truly get different, we must be different. Often, we have this conversation with students who don’t study and/or pursue language opportunities and still expect an A, but it’s much harder to have it with ourselves. When I do, it makes all the difference. Truth time: if you’ve ever worked in an uncomfortable, unprofessional, isolating, stifling environment, you know that it makes sharing difficult if not impossible. I am lucky to no longer be where this is the case, but I was, for three years. As World Language teachers whose content is constantly evolving and therefore usually teacher-created, especially if you’re textbook-less, sharing can feel raw and vulnerable. If, like me, some of your creations were mocked, criticized, used, and used against you, that can make you shut down completely. But we mustn’t. Without each other, we cannot survive the crazy world that is the classroom. Confession: It was on the four hour drive home from the SCOLT conference in Birmingham, 2013, tearfully blubber-singing with the radio at full volume, that all the emotions and reflections came to the surface and I truly began to heal from the hurt and betrayal that that particular department had caused. I found forgiveness and was finally able to share my work again in conference sessions, collaborative meetings, workshops, and so on. Mine is perhaps an extreme example, but some have it way worse. I know several people who have sat in conference sessions only to suddenly see their own work shown as the presenter’s. Can you imagine? Regardless, my mentality remains as such: nearly all good things come from sharing. Twice recently, I’ve hosted different department members at my house for food, laughs, and grading. When you’re comfortable, you can be vulnerable; when you’re vulnerable, you can grow; when you grow, you get better. We can laugh as we read student writing, celebrate their language use, confer over proficiency levels (“Hey, let me read this to you, where would you rate it? Novice high? Why?” – important, especially when it comes to inflating grades and reducing dept. variability), chat about common assessments, and talk unit plans. It isn’t a business meeting on the surface, but relationships are reinforced and business gets done – win, win. Share ideas, share materials, share wins, share losses, share perceptions, share feelings – first comes trust, then comes sharing. If we want to change something (warmup routines, seating, classroom management, feedback, grading speed), we must see it first. If you can truthfully SEE you and your students executing something, it CAN happen. Trust the vision and then trust the process. If someone else did it and s/he is honest about the how-tos and the success, and you can see yourself implementing it, go for it, and keep going. When Paul Jennemann inspired me to get my students blogging, at first I truly couldn’t see my classes doing it though I so desperately wanted to. But, through his blog and anecdotes, I saw his students doing it – and his students looked like my students, and he and I are committed to our classrooms in the same ways, so what was stopping me? Nothing. I finally not only saw myself doing it, but then did it, and then my students were doing it. Not right away, mind you, it was about four weeks before it became a routine and I wasn’t questioning the decision (every. single. time.) – over time, it worked. He shared; I trusted the vision; I changed my behavior; positive results ensued. They all function together. When I say that I regretted blogging for the first four times we were in the computer lab doing it, I wish I could say I was joking. It was NOT working. Then, after a few weeks, suddenly it was, thank goodness. You know the saying, “Fake it ‘til you make it?” During those four weeks, I was faking it, big time. “OK, guys, let’s get back to those blogs! Remember, these are going to be a great tool at the end of the semester!” I would tell my students. Truth be told, I had no idea if we’d even make it to the end of the semester with the freaking blogs, but I had to commit to the ‘bit’. Yep, we’re doing it, come hell or high water, we’re blogging. I think at one point, I may have even told them I did it every year, it was just ‘what we do’, and they went with it. When teaching for proficiency, especially when translating that into traditional grading systems, expect pushback: from students, parents, colleagues, everywhere. It may be heavy, light, or non-existent; regardless, expect it, and commit to the bit. Plenty of people are teaching for proficiency and using traditional grading scales; others are doing so with a standards-based scale; even others have categories based on the modalities and modes. Whatever it is, figure out the why, then the how, and then commit to it. If it’s working somewhere, you can visualize it, people are sharing their dos and don’t dos, then you’ve got to commit. Do what you say you’re going to do when you say you’re going to do it. When I first heard about assessing proficiency throughout the school year, teaching students the jargon and the indicators, and then continuing to revisit some of those conversations with students, my mind reeled, “What? I have 35+ students in each class, what are the rest of them doing?” and all I saw were obstacles. A more sustainable thing for me has become integrating those conversations into stations. ConverSTATIONS, if you will. I have nine groups of four in my classroom, and instead of making nine different rotating stations, I make eight and then I sit at the ninth group, waiting for students to come to me. When a group comes, they bring their folder and we chat individually but also as a group (of four) about new levels, goals, how they can level-up, what that means for their grade, and any other proficiency questions they have. That’s a much better use of time for all involved than 36 nerve-wracking conversations where you feel rushed and anxious and students feel they’ve been given busy-work (because they have). 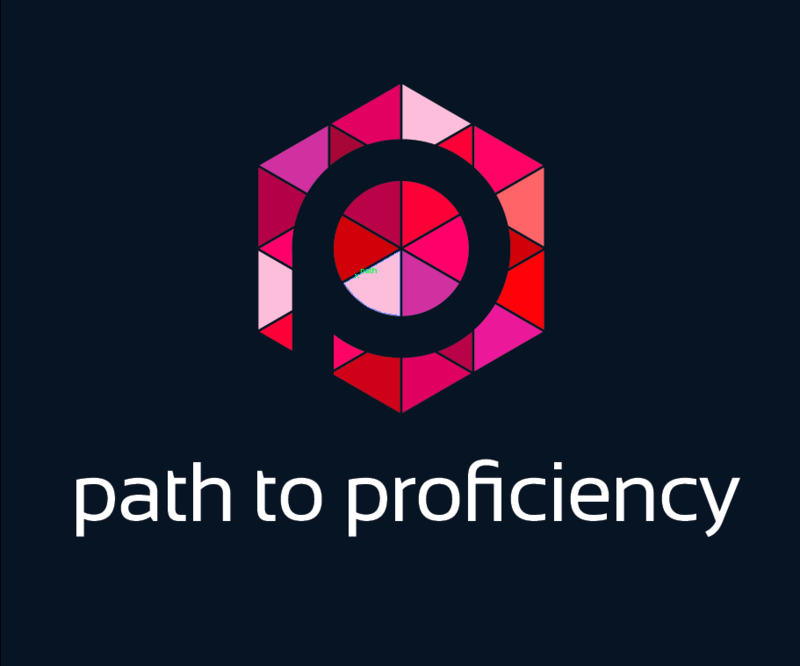 When those conversations about proficiency are happening, they need to be meaningful. When students are given a task, it needs to be meaningful. When a teacher is giving language input, for students to care and be engaged, it must be meaningful. When student feedback is written, typed, or spoken, it needs to be meaningful. As much as is humanly sustainable, we need to work to make every interaction mean something. Much of good teaching is good acting – we commit to the bit, and then we work to make it mean something. By golly, if we said we’re blogging, we are in it to win it, and now it has to matter. Anybody can create activities for a classroom – a true educator goes beyond creation to curation and make learning a memorable experience, not a memorized curriculum. Whatever it is that we’re doing, what does it all mean? My classroom goals in 2018 are big, so I have to stay focused and motivated. I’m revamping how we blog, do stations, and start class every day – a tall order, for sure, and I’m ready for it. Meredith- what blog platform did you use for your blogs? Do you like it? This blog was amazing it really made an impact in my teaching. “A true educator goes beyond creation to curation and make learning a memorable experience, not a memorized curriculum.” was a statement in the article which is important. I think it is important to create a great learning experience in order for students to remember and recall information.